“At Target Australia, the safety of our customers and their families is our highest priority,” the company posted on Facebook. What is the problem with these onesies? The zip puller on these suits may break and detach. A detached zip pull may pose a choking or ingestion risk to infants. 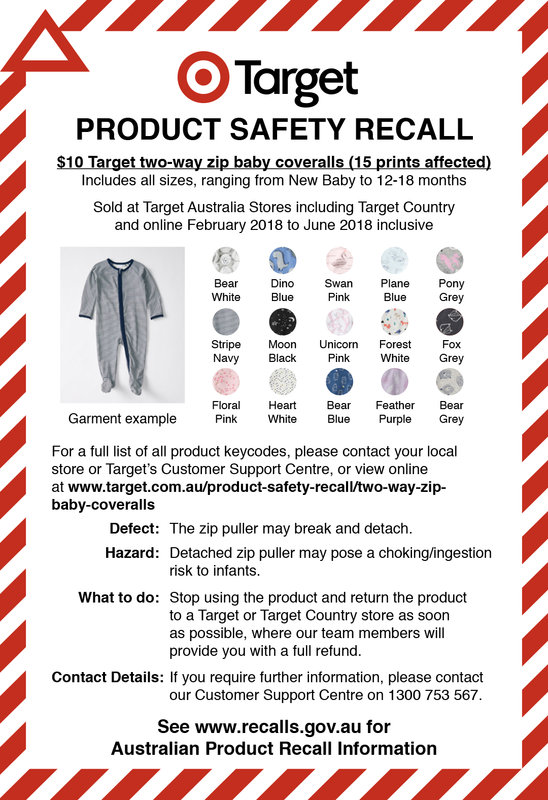 Customers should return Target’s popular $10 baby onesie sold between February and June 2018. It comes in 15 different prints, and all prints and sizes are affected by this recall. 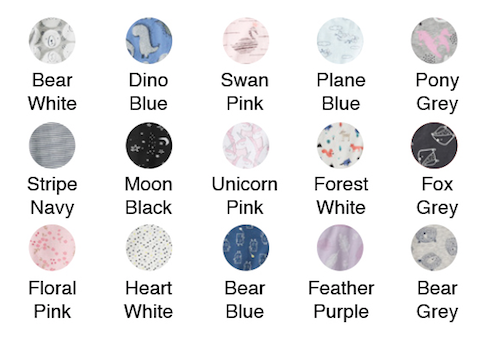 The prints are Bear White, Dino Blue, Swan Pink, Plane Blue, Pony Grey, Stripe Navy, Moon Black, Unicorn Pink, Forest White, Fox Grey, Floral Heart, Heart White, Bear Blue, Feather Purple and Bear Grey. 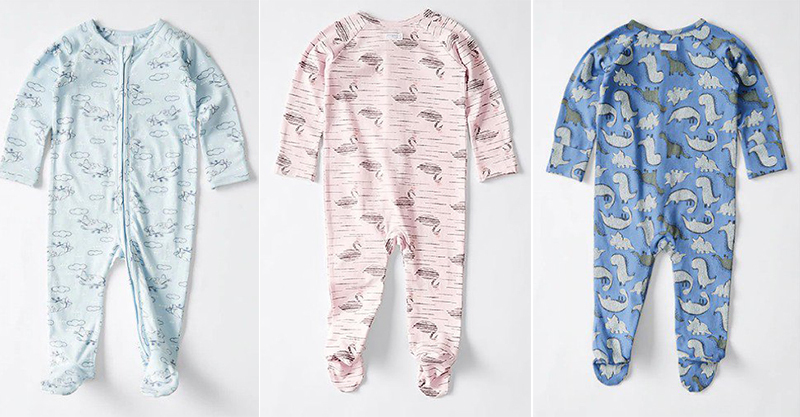 What should parents do if they have these onesies at home? 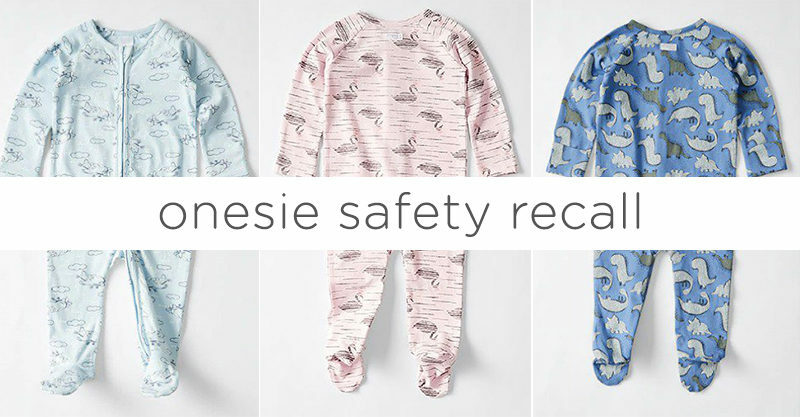 Parents should stop using these onesies and return them to a Target or Target Country store as soon as possible for a full refund. The Target Customer Support Centre is on standby to chat to affected or concerned parents at 1300 753 567.